The rally was meant to get underway at 10 am with ANC secretary general Ace Magashule and NEC member Fikile Mbalula billed as the main speakers. 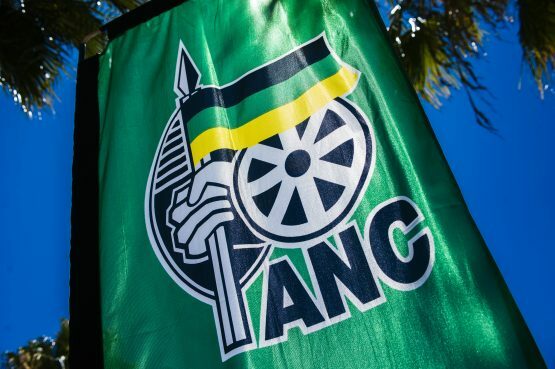 A planned African National Congress (ANC) rally at the Gelvandale Stadium in Port Elizabeth (PE), Nelson Mandela Bay, was abandoned on Sunday when the party cancelled the event at the eleventh hour. The rally was meant to be part of the ANC’s election campaign dubbed “Thuma Mina” and would have followed similar programmes previously held in other provinces. The rally was meant to get underway at 10 am with ANC secretary general Ace Magashule and national executive committee (NEC) member Fikile Mbalula billed as the main speakers. However, on Sunday morning a message from Obakeng Moate, from Magashule’s office, indicated that the deployment of ANC national officials to Nelson Mandela Bay had been cancelled and no activities would take place. By 11 am music equipment was still being set up and no more than 50 ANC supporters had gathered at the stadium, unaware that the rally had been cancelled. A few reporters received word that members of the recently disbanded ANC regional executive committee (REC) were on a door-to-door interaction in an impoverished area of ward 10 in Malabar in Port Elizabeth. Andile Lungisa, Mlibo Qoboshiyane, Phumzile Tshuni, and Mbulelo Gidane were among the local ANC heavyweights visiting the bushy area to hear the plight of residents who had lived in the same shacks for over a decade. Lungisa denied rumours that Magashule had been barred from speaking at the rally due to infighting and instability in the region. He simply said the rally had been cancelled at this stage. Ward 10 resident Emeleda August, 58, said that since the time of former president Nelson Mandela the ANC had promised her a house. She was tired of voting for the ANC and fed up of empty promises, August said. Ruwayda Benje, 39, who has lived in her shack for 15 years, also said the ANC had promised them houses for years. The area in which these residents live is surrounded by dense bush. They claim the municipality no longer trims the vegetation, resulting in snakes being found in the area and bushfires breaking out. Marlon Jaftha, 34, said his uncle Steven, 63, was born there and since then nothing had changed for his elderly uncle who has subsequently gone missing. During the door-to-door campaign, about 1000 ANC supporters were bused in to ward 10. The group then marched to the Elizabeth Stuurman old age home in Schauderville. In 2016, the home and three other homes for the elderly in the northern areas were allocated R8 million. But the home, which houses 138 people, is in a state of dilapidation and is on the doorstep of a gang-infested area, making it susceptible to crime. Irene Gallant, 66, said that under former mayor Danny Jordaan’s administration they were promised money to renovate the building. One block is without electricity after robbers broke in and stole the electricity cables.